Native Video and Content Marketplace. We provide the ability to promote and sponsor content directly within the articles and blogs of today's leading online publishers. Reach over 1B monthly video streams, article-feed, in-text, in-stream, and in-imagead placements on popular mobile, tablet and desktop destinations. All with full transparency, content-specific analytics, and a programmatic interface to control campaigns. Learn More. Our video creation platform allows you to create new and engaging video, and earn more from every impression served. Our video marketplace features 100% fill, premium advertising partners and a self serve platform that puts you in the driver’s seat. Learn more. 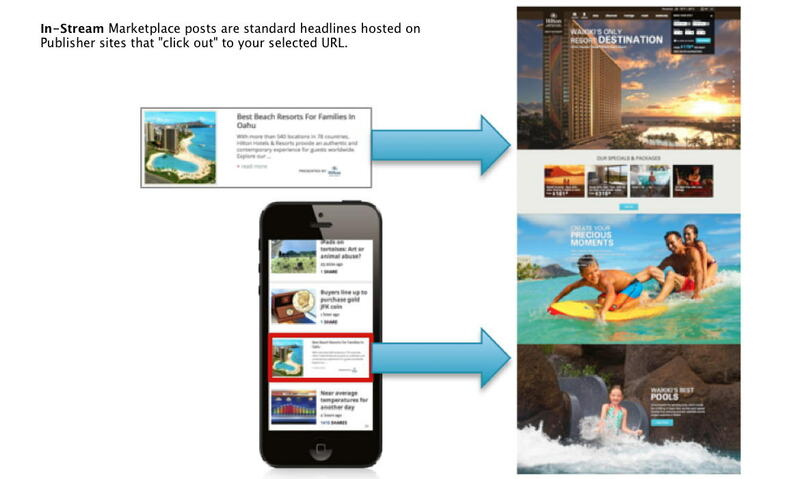 Tell your stories using engaging content-driven native ads delivered inside today’s most popular internet destinations. 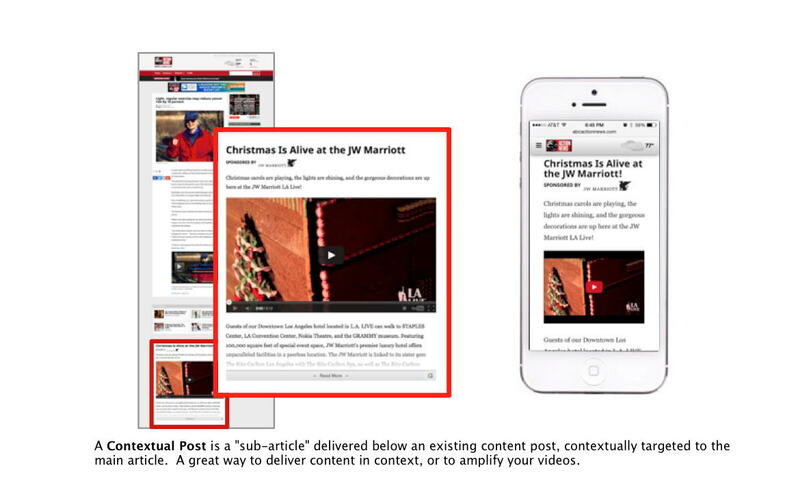 Native advertising simply performs better. Contextual video posts report from 50% to 100% lift in full views VS YouTube when presented within reputable and credible online destinations. 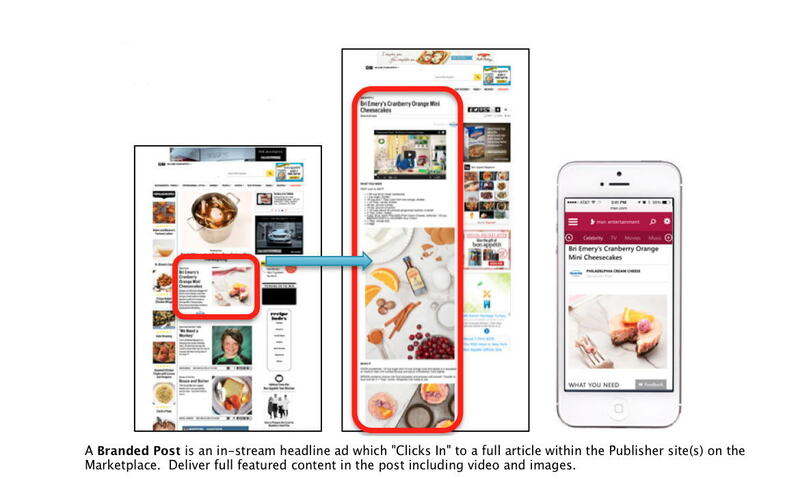 Marketers see a 6x – 8x lift in CTR over standard display for in-feed sponsored posts. When content is delivered on the publisher site, sales conversion rates enjoy the same lift! Advertisers have enjoyed 50+% lift in sign-up to sale rates due to a close affiliation with reputable online brands, greater context, and deeper engagement. “ People read what interests them. Insert content once and our platform will adapt it to hundreds of different sites instantly. 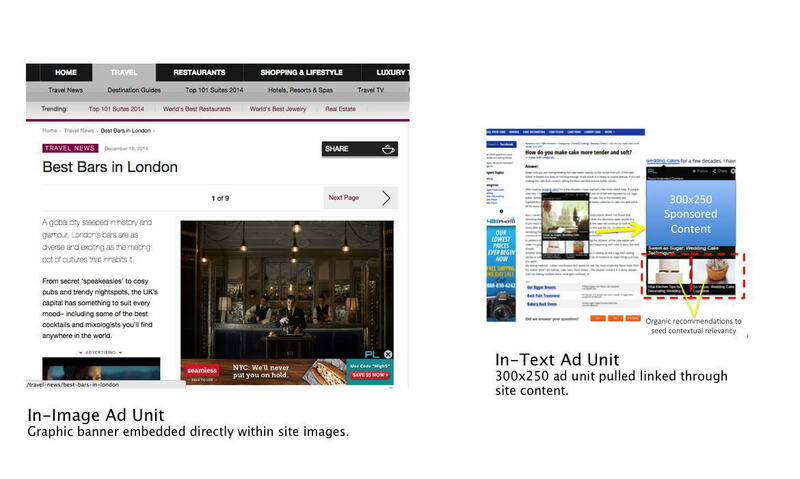 In-site articles, full microsites, contextual posts, and in-stream ads. Transparent reporting, RTB-enabled, data importing capabilities, and rich analytics provide the tools to effectively target, track and manage native campaigns. We streamline media buying and optimization for a multitude of popular native ad formats provided through various exchanges including in-stream and content discovery. No content? No problem. Our team can work with your team to plan, develop and optimize high performing posts, videos and landing pages. Earn more while engaging your audience with premium video and article content. 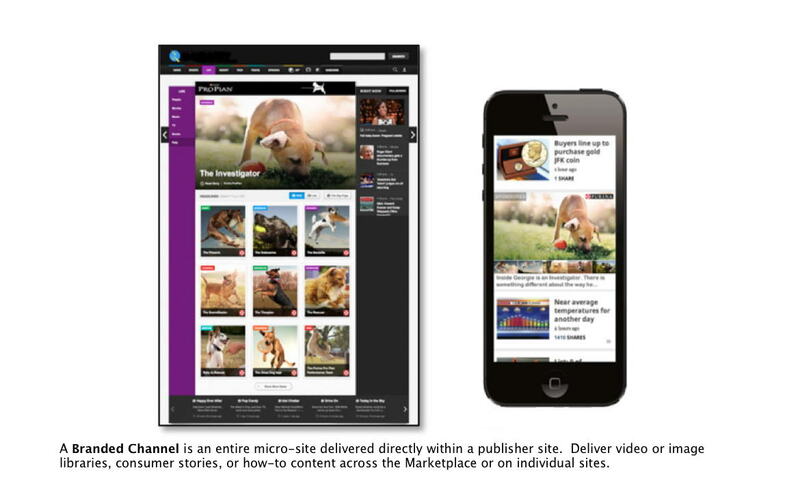 Real Content Network Presents The Native Video Marketplace and Platform. A sophisticated native content ad platform + RTB-enabled marketplace that features adaptive display technology and powerful analytics. With over 1 Billion monthly impressions and growing, we are a trusted partner for today’s leading publisher networks. Leverage premium 3rd party video inventory, or leverage the platform to create new video inventory using your article feeds or existing video. Retain full editorial control to manage and maintain your site’s high quality standards including article level approval, whitelist/blacklist capabilities, and granular ad serving tools. Earn premium NEW revenues through our Marketplace and/or, you can leverage your own sales force to create integrated campaigns, new ad products or your own RTB-enabled content marketplace. We work with over 30 direct and programmatic partners to ensure that video ads are delivered 100% of the time. No impression goes to waste.